Initially, the alliance plans to connect the GCPS to 50,000 Cryptocurrency-enabled ATM/point-of-sale terminals linked to millions of Debit-card holders and even basic mobile phones users in the U.S.A., Canada, Ghana, Georgia, Eurasia, and throughout the world. The Alliance’s GCPS is being designed to efficiently handle worldwide transactions for up to 250-million people, daily. In Las Vegas, the Earth Dollar and other Cryptocurrencies plan to be accessible to approximately two-million residents and 40-million tourists annually who visit Las Vegas; buying anything from food to handbags, coffee and paintings. Whereas the U.S. Blockchain Association is responsible for 40,000 of the 50,000 planned ATM/point-of-sale terminals across the U.S.A., they will primarily focus on metropolitan regions with high concentrations of people. The Nevada Blockchain Association will gradually deploy 10,000 of the 50,000 ATM/point-of-sale terminals. The project will envelop Las Vegas and local residential outskirts and will be installed in and around the greater metropolitan Las Vegas area. The Nevada Blockchain Association describes the project as creating a one-stop shopping solution for buying, selling, trading, developing and spending Cryptocurrencies in everyday life. Earth Dollar joining this Alliance means that the Earth Dollar, Bitcoin, Bitcoin Cash, Litecoin and the Las Vegas Token Cryptocurrencies can be utilized daily by consumers; to conveniently purchase goods and services anywhere. Though the alliance’s efforts, Crypto will be able to be spent in: casinos, shopping malls, restaurants, cafes, and entertainment venues for shows, grocery stores, hotels, other tourist attractions and other such physical venues and locations. As a contribution to the Alliance, Earth Dollar also plans to install 5,000 Cryptocurrency-enabled ATM/point-of-sale terminals (units) within seven indigenous territories and communities in Canada and Ghana. These machines would serve approximately 6.5-million people and Earth Dollar will act as their official community currency. Moreover, the Earth Dollar has agreed to support and bridge any gaps with the Alliance and other Cryptocurrencies, including offering co-branded Earth Dollar Debit Cards to alliance members. 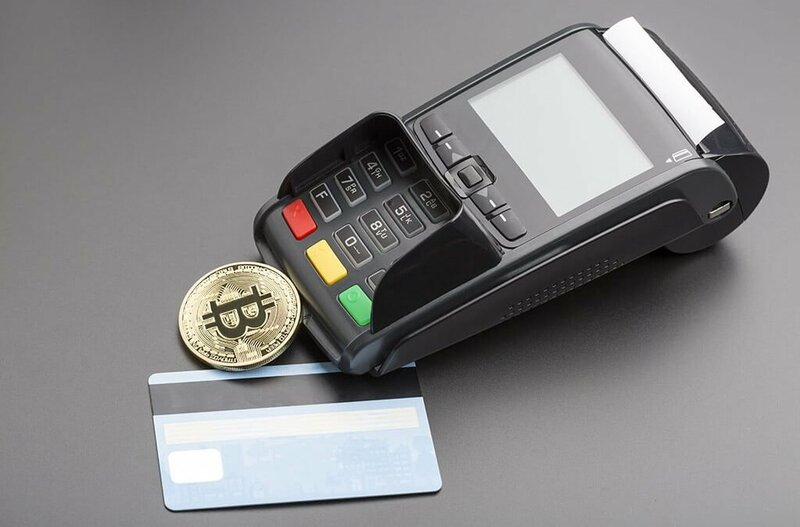 All payments made to merchants through the cryptocurrency-enabled ATM/point-of-sale terminals machines are is expected to be processed by the Las Vegas Currency Exchange. A unique advantage of being in Nevada is that the State government passed State Law SB398 that protects the “no sales tax” policies for processing goods and services payments on the Blockchain. This is excellent news for consumers and merchants who will each pay far fewer fees for processing, because of the advent of the Blockchain technology, which “cuts-out” the payment processing “middle-man”. The Earth Dollar™ is expected to be one of the largest asset-backed Cryptocurrencies with intrinsic value. €3.22-trillion Euros in Natural Capital Assets (fruits of the land) from 18-million hectares of the land plan to be used to back and to launch a new, sustainable, and decentralized “Living Economic System” that is centered on replenishing Earth, preserving natural resources, and revitalizing local and global economies. Mother Earth Trust is co-stewarding the preservation of the natural resources (Natural Capital Assets) that will back the Earth Dollar. The Earth Dollar™ plans to develop the latest type of “quantum-secure worldwide mesh network” on the Blockchain, through a strategic partnership with Stealth Grid™. This partnership will provide tools to help institutions, banks, governments, and organizations to interface with a secure Blockchain. Currently, Earth Dollar is in the pre-launch stage and is privately raising funds for developing of the Living Economic System. The U.S. Blockchain Association is a non-profit Trade Association with a focus on creating jobs and opportunities in America. The Association’s client is the Blockchain industry within the United States. The U.S. Blockchain Association is planning for the growth of National Chapters in cities and states, nationwide. Primary objectives of all Chapters will be to support overcoming poverty, advocate for social justice, and bring forward mass adoption of sustainable initiatives and technologies. These objectives coincide with the U.S. Blockchain Association purpose to fulfill the United Nations’ Sustainable Development Goals. The Nevada Blockchain Association is a non-profit Trade Association. The Association work serves as a voice for the booming Blockchain industry in Nevada. The Nevada Blockchain Association supports overcoming poverty, advocating for social justice, mass adoption of sustainable initiatives and technologies, with focus on creating jobs and business opportunities in Nevada, as they coincide with the United Nations’ Sustainable Development Goals. The Nevada Blockchain Association believes that a shift towards supporting Cryptocurrencies will positively improve reality for the 2-million area residents and 40-million annual Las Vegas tourists. In the coming months, the Nevada Blockchain Association is working in conjunction with partners to hold an Initial Coin Offering (ICO) for the “Las Vegas Token”; for the purpose of building the forthcoming Las Vegas Currency Exchange. And, to install 50,000 Cryptocurrency-enabled ATMs and point-of-sale terminals across the U.S.A. 10,000 ATM units are to be concentrated in the Las Vegas area. Once the installation is complete, the Global Cryptocurrency Payment System will be able to process mass ongoing payments of Cryptocurrencies and fiat currencies, at both brick-and-mortar retailers and online retailers.